The water fountain pump articles provides guidance and review about different types, qualities, durabilities, and prices. Water fountain pumps are used to splash or jet the water through a nozzle and make them into a piece of architecture by adding effects to it. A fountain is a process of pushing the water as jets into the air. Fountains are usually made for the decorative and recreational purposes. And pumps that assist in making the jet of the water are called as fountain pumps. Fountain pumps can be used to make a small fountain in our backyard or gardens are called as garden fountain pumps. During the earlier days, fountains are used for drinking purposes. Now, they are used for decorative purposes for public viewing and some summer recreational activities to have fun. Fountains can also be used to create music by the water and are called as the musical fountains. The water dances to the tunes of the fountain make a pleasant view to the audiences. Let us consider the important factors to be considered while selecting a water fountain pumps for the water fountain in our backyard or garden. Flow rate – the amount of water that flows through the pump in certain time. Fountain pump must be ensured good water circulation for the effective functioning. The amount of water to be pumped per hour must be equal to half the capacity of the total water capacity of the fountain. It is expressed in terms of volume per unit time. For an example, a fountain with the water capacity of 1000 Gallons must have a flow rate of 500GPH. Fountain head – it is the maximum distance up to which the water must be pumped in the fountain. We must choose a suitable pump to pressurize the water to the height of the fountain head. It is measured in terms of distance as height or metre. We should consider the frictional losses while selecting the head of the pump. Nozzles – We must select a suitable nozzle system to provide the required pressure head in the water jets. Nozzles with the suitable inlet and outlet sizes for our pressure and head requirement must be selected. Filters – Suitable filters must be selected to avoid the dirt and other waste materials. They may accumulate in large quantities and can affect the flow of the water. Tubing – Proper tubing size must be selected for the efficient functioning of our fountains. Smaller tube sizes may not able to provide the required pressure to lift the water to the maximum head height. Power source – we must connect the pump to the required power source. Mostly they are electrical powered. Power cords must be concealed so that the water does not come in contact with electric power. We have seen the important parameters to be seen while selecting a water fountain pump. Now we can see the additional features we can add our fountain to make them more attractive and beautiful. Lighting – we can make the water in glow in colors during night times. And water height can be synchronized with color change patterns to make a creative design in the water pattern. Lighting of the fountain is a kind of art. Under the water, the wet niche lightings can be used for the effective lighting purposes. Computer system – We can connect our pump and fountain system to a computer and time them Computer programming give us more attractive water fountains. The fountain can dance to the tunes and make vibrant color changes, height changes, etc. Pressure control valve – Multiple water effects can be done by using the pressure control. The pressure is maintained by using the pressure control valves. It also prevents the system from over pressurizing. Wind control – This helps to maintain the height of the water jet according to the speed of the wind in the surrounding region. Parasite filter – It is used to remove the unwanted parasites entering the fountain. They might disturb the artistic effects produced by the lights. Some of the water fountain pump manufacturers are Flotec Pumps, Aquascape Pump, Auro Fountains, Alpine Corporation, etc. Flotec Pumps is one of the leading residential pump manufacturers. Their pumps are easily available across online sites with free home delivery options. Alpine Corporation is a leading manufacturer in home and garden decorative materials for the past decade. They give many decorative, creative fountains with more innovative designs of the latest fashion. Aquascape Pumps and Auro Fountains are also small scale manufacture of fountain pumps. 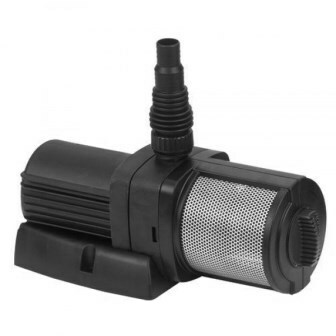 They are also retail dealers for all the accessories for the fountain pumps.